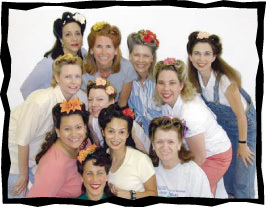 Ladies... learn this vintage hairstyle Sunday at our Workshop! Too good to dance with beginners. Too good to dance with anyone. Halloween Party -- can you help? 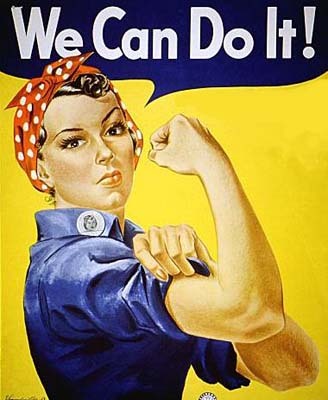 1940's Vintage Hair Styling Workshop THIS Sunday! For those of you in the Sunday classes, you know that Gio has been teasing me for months that he is changing the name of my school from Lindy By The Sea to Gio By The Sea. This is because of my active travel schedule teaching out of town -- and the fact that he has been teaching the classes on his own (and a wonderful job he has done!). As Gio is one of the greatest teases I have ever met, I couldn't resist getting in on the fun and acquiring (as a little gifty) his very own domain -- GIOBYTHESEA.COM! For all the Lindy By The Sea Level 3 students, we thought it would be fun to go have dinner together after class this coming Sunday. We'll just hop across the street to El Tarasco. Mark your calendars! 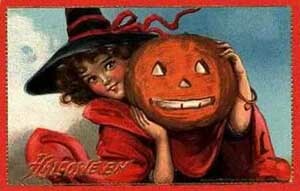 Halloween is just around the corner... and this year it actually falls on Wednesday! What fun we'll have!!! We've got a great band lined up, Neil Morrow and His Spooky Swing Gang," a Costume Contest with a $100 cash prize, tricks and treats, and loads of you!! If you have some skeletons in the closet, so to speak, or other fun decorations or ideas, contact Cathryn via EMAIL or at the club this Wednesday. We'll be setting up at around 7:15... so if you can come early on Halloween, we could sure use your help. The more the merrier! What are the name of the two sisters who run The Pasadena Ballroom Association and next month's Harvest Moon Swingout (see Link of the Week)? In our clip of the week we show a sensational girl Lindy Hopper, Frida Segerdahl. Where is she from and what group does she dance with? NEW LINDY BY THE SEA CLIPS UP! Every now and then (actually quite often!) a student comes up with a great idea. And, boy, oh boy, was this a great idea -- A Lindy By The Sea clip on Youtube. Our student, Ji Han noted that there was nothing on Youtube or our website about the "atmosphere" of Lindy By The Sea classes. AND... she offered to make something (bless her!). Take a look at her fun work, and maybe find yourself in the process. Thanks, Ji! You're a hero. And, stay tuned for more clips. 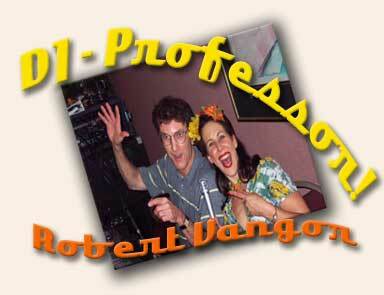 11/07 -- DJ Music with "The Professor"
Thanks to all the participants and especially to Cathryn for pulling this together with her usual energy and flair. 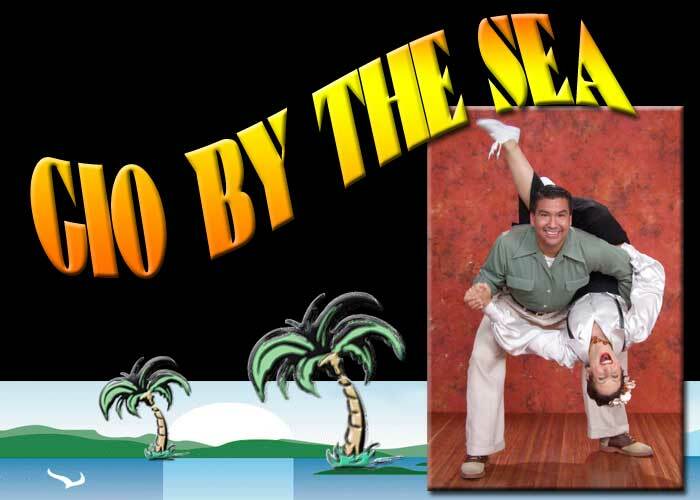 "Making a difference through swing dancing"
Another Event from John Apodaca, this time at the Norwalk Senior Center a call for dancers from Center Coordinator Johana Coca. On saturday, November 17, '07 from 12Noon - 1pm. The residents request dancers to perform at their Holiday Boutique. Note that this Event does conflict with the 24 Hour Cancer Dance-a-Thon in Irvine, but if you are not dancing or helping there from 12 - 1 perhaps you could be available. I can't tell you how much we appreciate you guys coming last night. People were talking about it all night and were thrilled that some of the guests got up to dance in the back of the room too!! What an inspiration. You guys are terrific and we really appreciate all your effort to get there, if only for a short time. I know some people wanted to hang out and dance to the Alley Cats, but the fund-raising portion took too long. I will find out this week how much money we raised. I am sending along the mission of the Southern California Rehabilitation Services in case any of your dancers are interested. I thought we might have little cards to attach to the bath salts, but that just never got together. Also, please send me your address as we will be sending out a formal thank you. If you could share it with everyone, I would really appreciate it. MISSION: The Southern California Rehabilitation Services (SCRS) empowers persons with disabilities to achieve their personal goals through community education and individualized services that provide knowledge, skills,and confidence building to maximize their quality of life. Anyone can join! See full details at the bottom of this newsletter. 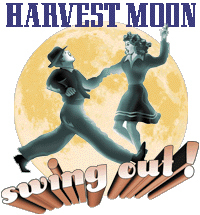 HARVEST MOON SWINGOUT -- Our wonderful friends over at PBDA are again hosting their annual Harvest Moon Swingout, and you won't want to miss it! 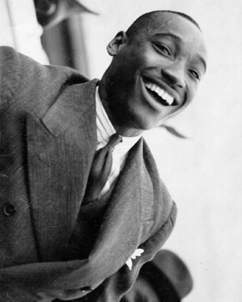 Sign up now for this amazing opportunity to take classes with, hang out with, and be around "The Man" himself -- Frankie Manning. * Wondering what the heck a "gate"is? This was a phrase popularized by 1940's comedian, Jerry Colonna, who would holler it out every time he was introduced on the Bob Hope radio program. It was a friendly salutation to a swing cat (dancer or swing music enthusiast). Basically, we swing like a gate! BUT, WHAT THE HECK IS IT? 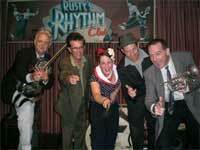 Many of you still don't know about our Swing Shift Rhythm Club. It's one of our best kept secrets. Now is the time to get the SSRC "above the radar." 1. 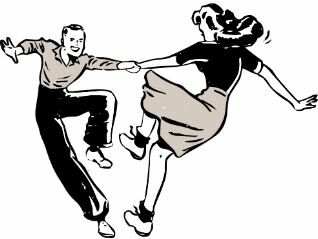 Having fun: Events where swing dancers can socialize and get to know each other outside of class (vintage clothes shopping, going to a dance-related movie, dancing in the park, eating at retro restaurants before a dance, etc.). 2. 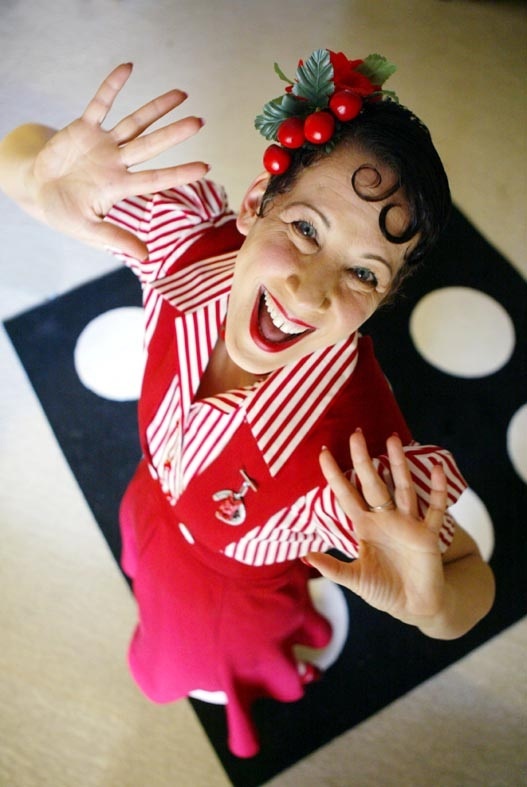 Doing good deeds: Events where we bring swing dancing to hospitals, senior homes, and community events for the purpose of good deeds, entertainment, and education in the Los Angeles area. The SSRC is a volunteer club open to the public and the events are organized by its members. There are no dues. Members can attend as many or as few events as they wish. 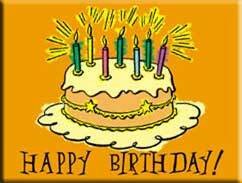 Then you will receive updates of activities (or you can organize one yourself!). 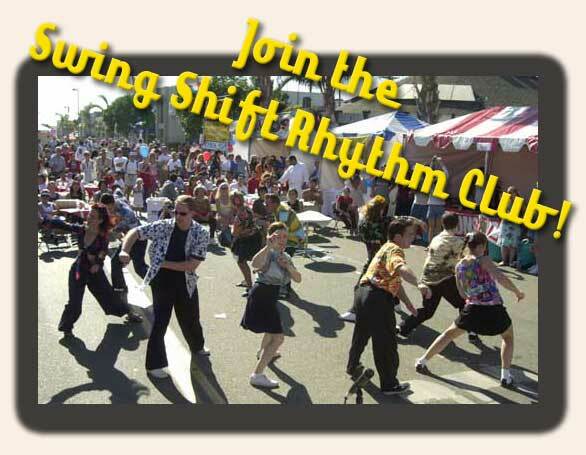 Check the yahoogroup "Swing Shift Rhythm Club" calendar here for postings of upcoming events. Join us in making the world a better place through dancing!